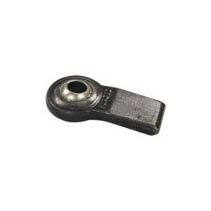 We are instrumental in offering the best and qualitative range of Weld On Lift Arm Ends. We are staffed by diligent team members and they ensure that the Lift Arm Ends are as per the International Quality Standards. Our team of experts makes use of quality approved raw components to bring forth highly reliable Lift Arm Ends. We deliver the Lift Arm Ends only after complete testing and Quality Assurance.